So, after many year out of the saddle I decided to get back into motorcycling. My first ever motorbike was a very old Yamaha DT50 (with twin rear shocks!) which my Grandad bought for me as a present when i was 10 years old. We spent many happy hours stripping it down and putting it back together, and i've loved bikes ever since. ﻿﻿﻿﻿﻿﻿I passed my bike test when i was 17 years old (many years ago!) but because of living in London, its always been difficult to own a bike. Without secure parking, bikes are too easy a target for thieves and vandals, so apart from a short stint with a Gilera Runner SP180 (that people kept trying to steal!) i've not ridden on the roads for about 6 years. 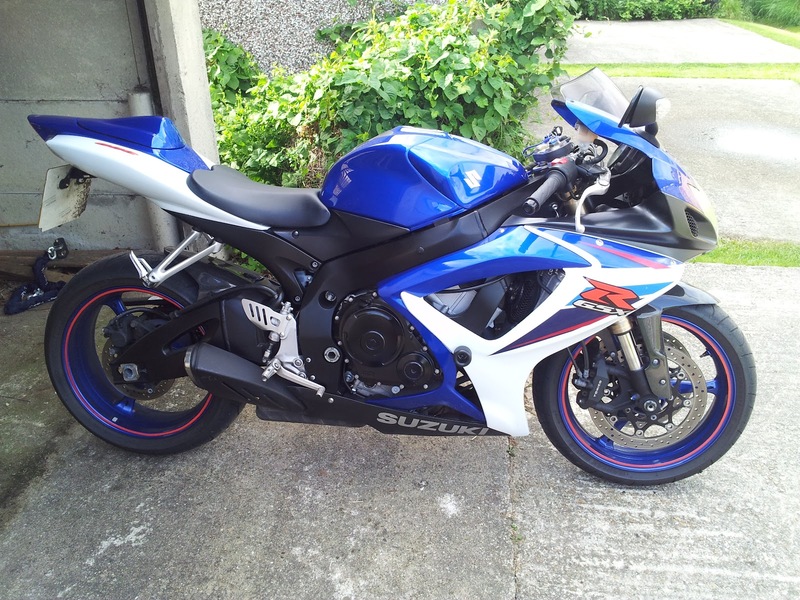 ﻿﻿Now that ive moved out into 'the sticks' (Sevenoaks Kent), and i have a secure double garage, i decided i no longer had any reason not to get a bike, so i started looking and found this very clean, '57 plate Suzuki GSX-R600 K7. 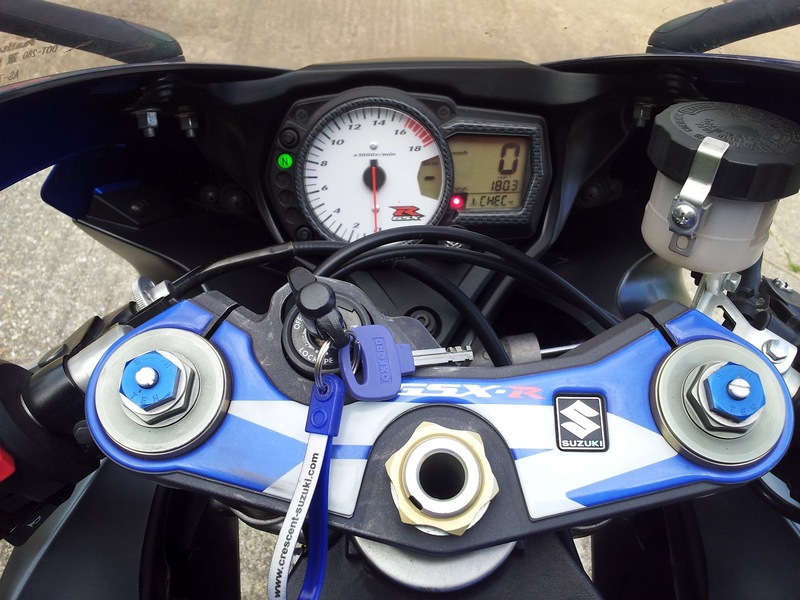 The GSX-R (or GIXXER) was always one of my dream bikes as a lad, so the possibility of owning one was pretty exciting. The bike was being sold by a dealer down in Southampton, so i popped in to take a look. I liked what i saw, but i didn't show too much interest. When i got home i found the same bike for sale on eBay with an "Offers" button, so i clicked the button, put in a cheeky offer (£250 less than the asking price) fully expecting the offer to be rejected. 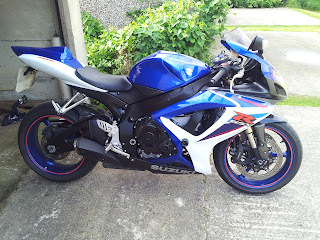 The next morning i woke to see an email saying my offer had been accepted - I was soon to be the proud owner of GIXXER! So i HPI checked the bike, transferred the cash and arranged for it to be delivered to my mum's house in the New Forest saving myself an expensive delivery charge from Southampton to Sevenoaks. The plan was that i would go visit my mum, check the bike over, take it for a short ride around local roads to get back into "Biking Mode", then ride the bike the 110miles home. Of course this meant that my first ride on a bike for over 6 years would be a 110mile ride on motorways on a powerful sports bike, that i'd never ridden before - Needless to say, many people thought i was crazy!! The day of the ride came, and i was so excited - not at all nervous (i don't really do nerves). I got on the bike, fired it up, and immediately got back into "Biker Mode". Having learnt to ride as a kid, the controls were all very instinctive, and I had no problems remembering how to ride. In fact it was just like being a teenager again on my Aprilia AF1-125 that i had when i was 17. Exploding Aubergine Leaves Alien Remains.